I love black and white Anemones. They make me happy every time I see them! 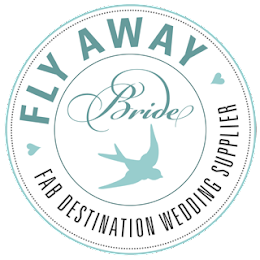 -Which when you work in the wedding world happens on the most magical of days! The BLACK and WHITE ones are my absolute favorite!! They are unique, both soft and bold. The frilly cream petals mixed with black dramatic centers make them perfect for wedding and events! They ways to use them are endless, and since they are a dramatic flower they can be used sparingly or in large bunches and still have a beautiful effect! Include beautiful black and White Anemones in your bouquet . . .
for striking centerpieces . 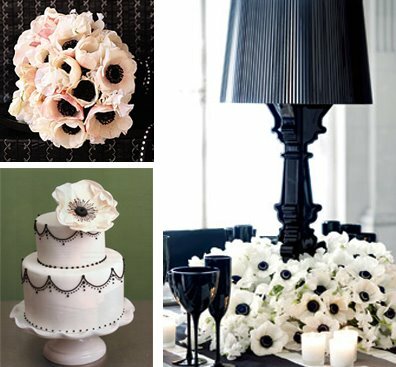 . .
Introduce anemones into your black and white wedding style . . .
to make a statement on your wedding cake . . .
or to decorate a eye-catching black and white dessert bar. I’m sure your head is now buzzing with so many black and white wedding options. Don’t forget to bookmark all your favorites and if you’re planning to DIY your Bouquets and Wedding Flowers you can source all the beautiful Anemone blooms you need here .